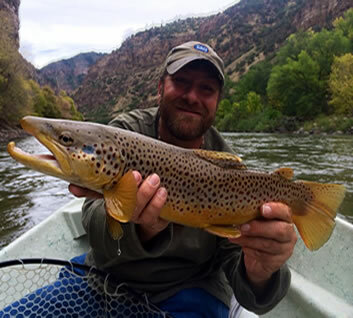 Come catch a Brown trout! 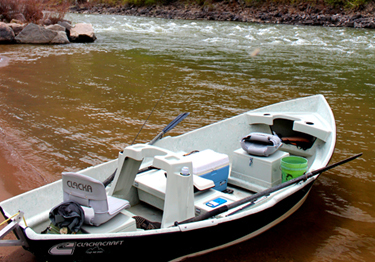 We float the Roaring Fork and Colorado Rivers all year long! 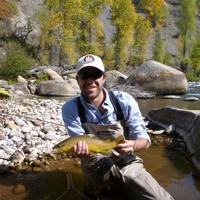 Try a float down trip down the Roaring Fork in the Fall! 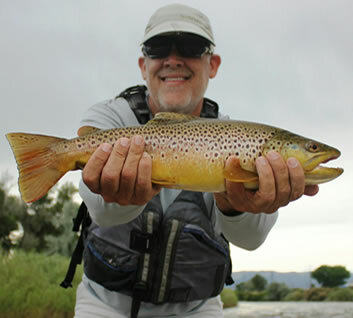 On Friday July 18, you set me up on a trip with Dale, one of your more seasoned guides. Although I consider myself an intermediate level fly fisherman, I believe this trip with Dale raised my fishing abilities. One quality I noticed about Dale was his awareness of what I was doing. He made careful observations of my technique and suggested some subtle adjustments in my presentation and hooking that increased my success at landing fish. On a personal level, Dale has a balanced approach and I believe this is a result of his life experiences, his travels and this is evident by his ability to relate to his clientele. 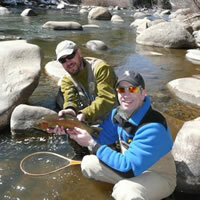 I would not hesitate to recommend Dale to any of your potential clients or my own fishing friends. I usually don’t hire a outfit to take me out on trips, rather learn by a lot of trial and error. Before Friday, I had not picked up my rod for over 8 months. However, Dale’s instruction has given me to confidence to put myself in the 10% of people that catch 90% of the fish. Thank you and I look forward to future trips with Dale. 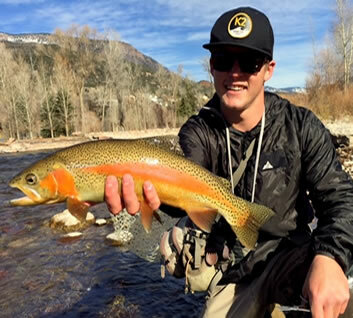 The highlight of my short visit to Aspen was learning more about my new passion-flyfishing-in the knowledgeable company of your guide Scott. 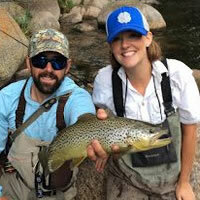 Since taking up the sport this spring,I have had several experiences with fishing guides. And ,by far Scott has been the best! His patience,knowledge and humor made for an unforgettable learning experience. 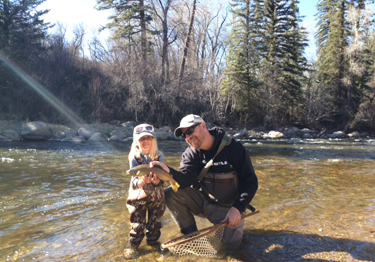 Thank you Scott, and thank you Aspen Flyfishing!!! 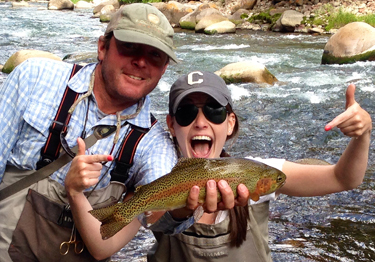 So how about this for a perfect day of fishing; In Aspen for a wedding in late August. 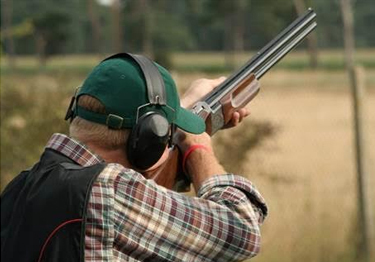 Meet Roger at noon on Friday afternoon- wife at the spa, got an afternoon to kill. Beautiful weather- warm but not hot. Gear all set up, we’re on the river in no time. First fish is a 17” wild brown trout with bright orange spots. Ultimately netted 20-25 fish. Another 5 to 10 LDRed. Only one trout out of all of them under 14”. 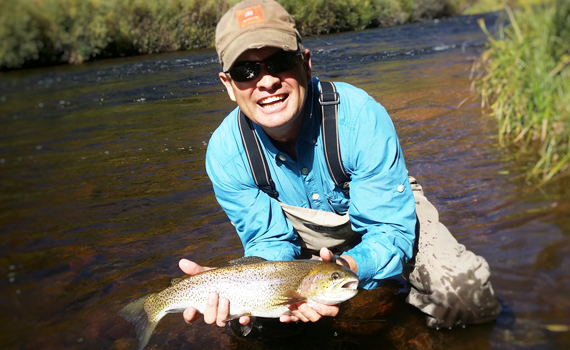 Biggest was close competition between the original Brown and a Rainbow both in 17” – 18” class and both close to 3lbs. All native/wild fish with vibrant colors, broad shoulders and sweet spots. Huge runs downstream. Huge jumps 2’ to 3’ feet in the air. Caught fish on nymphs. Caught fish on dry flies. After 2.5 hours, we called “mercy”, feeling a wee bit gluttonous. Was back at the Little Nell, poolside with a cocktail, by 4:00… and that, Aspen Flyfishing, is no fish tail. Thank you for one of the best fishing experiences in my life.